TRAILER MOUNTED ; LGT. 12' ; W = 5'10" ; HGT. = 6'2" ; WEIGHT 4770 LBS. 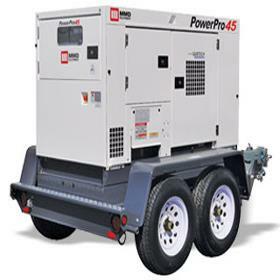 * Please call us for any questions on our generator towable 45kva/36kw rentals in Cincinnati Ohio.